Good Head + Good Heart = Formidable combination! | Precious Thoughts! Good Head + Good Heart = Formidable combination! You need to have seen how I was singing and shouting yesterday night as I was overjoyed that I was done with this assignment that wanted my blood.[whew!] I had muted my BBC News, so there was no way I was going to know what was going on with my music on, but trust Facebook [smiles], so I logged on, and there it was, everyone with their tributes to this legend-Nelson Rolihlahla Mandela aka Madiba, Tata. He had passed on. 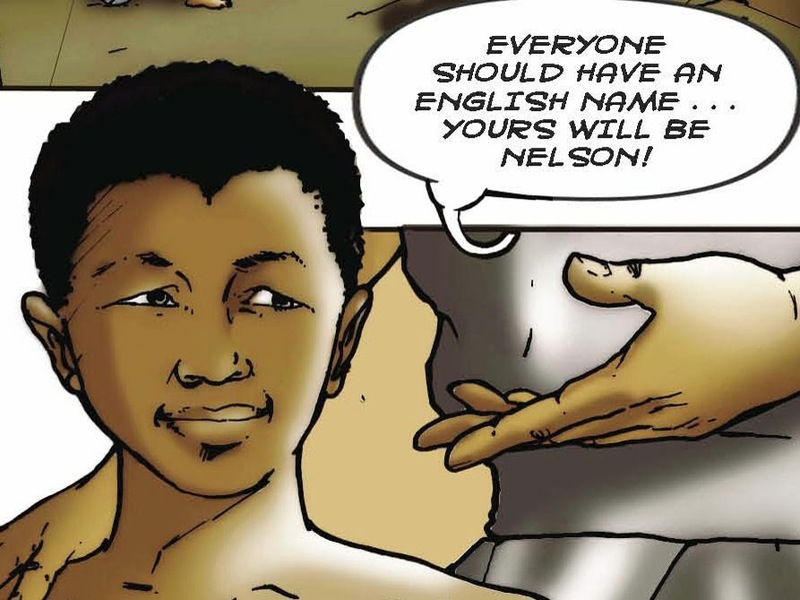 I tried to recall when I first heard of Madiba, it was sometime in my mid-primary school years when I heard my teacher talk about apartheid, she had brought the ‘Cry Freedom’ movie for us [the students] to watch. Afterwards, she explained what apartheid was, but for the life of me, wrapping my head around the segregation of whites and blacks was something my naive mind saw as being ‘absurd’. We are all human why should an issue arise because of our skin colour? I asked myself. But as I grew older, it became believable and not absurd. As everyone pays tribute to this great man, I choose to press ‘pause’ on my other posts, to take out this time to share some lessons I’ve learnt from Madiba from a distance. 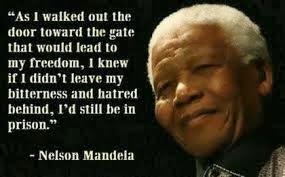 Madiba was a man with a truck load full of perseverance. In his fight for equality and freedom, he was arrested for 27years and even upon his release he carried on. 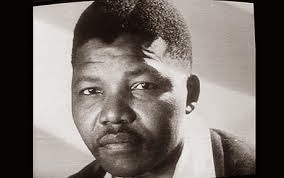 The 27 years imprisonment did not deter him from dismantling the legacy of apartheid. The reward- from prison to presidency [Joseph’s Twin] Persevere! He was a man of great values. A tireless fighter of justice. Today, everyone sings his praise not for terrorism or murder, but for his great works. This just shows that your good works will always speak for you. Be good! He was a man with a heart of gold. His forgiveness was indeed precious. A lady on the news last night while paying a tribute to Mandela, said when she heard of his release from prison, she was worried about what was going to happen to the whites as she is one. But to her amazement, Madiba made a speech on peace and working together. Wow! someone who had spent TWENTY SEVEN years in prison. #priceless# If he chose to revenge when he was released from prison, he would have been known as ‘the man that destroyed South Africa’ and not the ‘Pillar of peace’ he was known to be. Forgiveness builds! He was a man everyone loved to reckon with. From Presidents to a new born baby[Yes!]. Today, everyone has stopped to pay tributes to him, everyone is inspired by him, people want to be like him [without the 27years imprisonment] lol! Another significant thing I have learnt is that, Madiba made a lot of sacrifices in order to achieve all that he achieved. Just to mention a few-His time, not being a part of his children’s life for the time he was away, his marriages. He was selfless. He was indeed a great leader, an epitome of humility, justice and peace. He will never be forgotten. So today I choose to celebrate that a man of such calibre walked on this earth and I knew that he once lived. Rest well Madiba, the legend, leader and hero of all times! P.S please share the lessons which you’ve learnt from Nelson Mandela’s life, in the comments section. And if you’ve not watched the movie ‘Invictus’, please do, it’s a very amazing capture of Madiba’s great work, starred by Morgan Freeman #youwillloveit#. Also look out for ‘Long Walk to freedom’ #cantwait#. 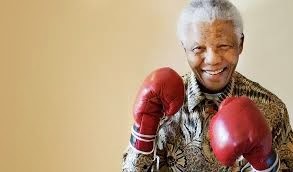 ''I am the master of my fate…I am the captain of my soul'- Nelson Mandela. R.I.P Madiba, the world celebrate you! 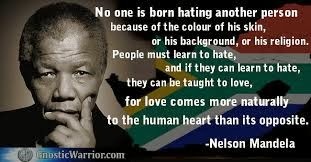 he was truly an inspiration, your legacy lives on Madiba.